Part 2: Farmers markets. Lacking in food from local farmers. Case studies. Restaurants that make false or inaccurate claims. Consumer guide. 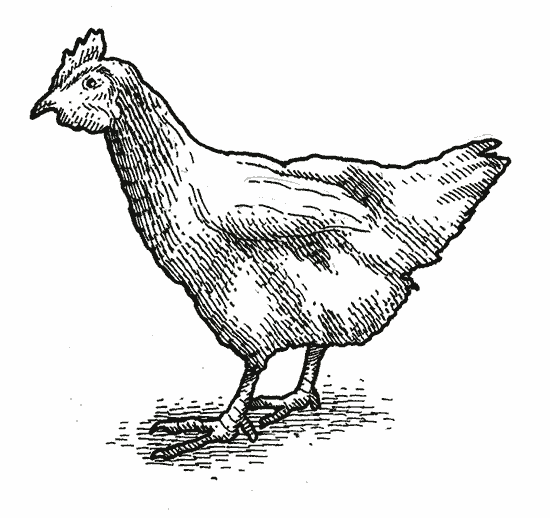 How to tell if your ‘local’ food is actually local. Not so fast. 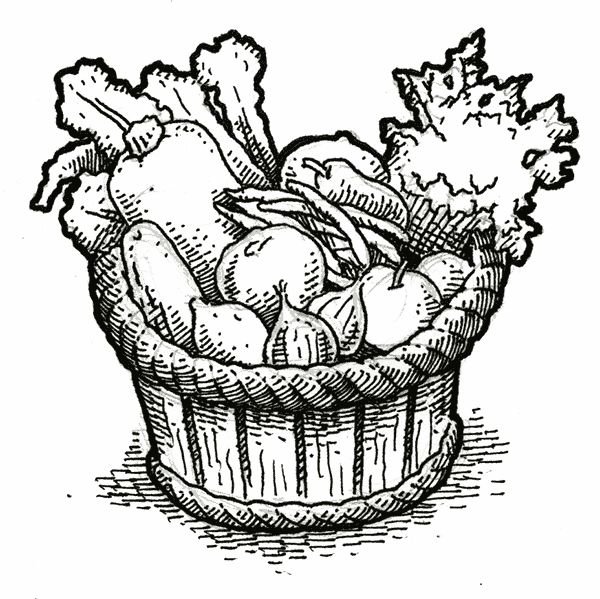 Chain and fast food restaurants market themselves as farm to table. What’s the law? Florida’s agriculture commissioner reacts. AG Bondi investigates. 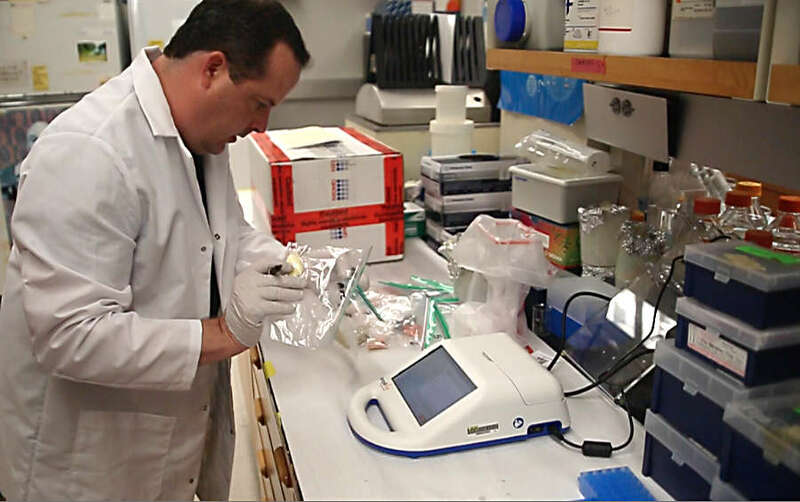 State looks into rising tide of food fraud. Brown butcher paper tops tables and lettuces grow along a wooden wall. In a small market case, I see canned goods from here and produce from somewhere. Check the small print: blackberries from Mexico and blueberries from California. But I’ve been had, from the snapper down to the beef. It’s not just Boca. At Pelagia Trattoria at International Plaza, the “Florida blue crab” comes from the Indian Ocean. Mermaid Tavern in Seminole Heights shouts “Death to Pretenders” on its menu, but pretends cheese curds are homemade and shrimp are from Florida. At Maritana Grille at the Loews Don CeSar, chefs claim to get pork from a farmer who doesn’t sell to them. People want “local,” and they’re willing to pay. Local promises food that is fresher and tastes better; it means better food safety; it yields a smaller carbon footprint while preserving genetic diversity; it builds community. “They say if you spend your money locally, it gets multiplied three times,” said Michael Novilla, who owns Nova 535 event space in St. Petersburg and tries to buy local, from soup to soap. He was speaking of the local multiplier effect, a term coined in the 1930s by economist John Maynard Keynes. And part of Novilla’s motivation is health, finding clean sources for the food he eats. So if he found out markets and restaurants he loved were playing fast and loose with the truth? One of his favorite places to eat local is The Mill. The Mill in St. Petersburg opened last summer to instant acclaim. With walls that look like tooled leather saddles, a men’s room sink inset in a tractor tire and chandeliers made of wagon wheels and mason jars, it’s what the designer called “farmhouse industrial chic.” Sandwiches run around $13 at lunch, and at dinner, sous vide fried chicken hits $24. We gave it three stars out of four, and in December it was awarded best new restaurant in Florida Trend’s Golden Spoon awards. Dorsey said he buys pork from a small Tallahassee farm through food supplier Master Purveyors. But Master Purveyors said it doesn’t sell pork from Tallahassee. Dorsey said he uses quail from Magnolia Farms in Lake City. Master Purveyors said the quail is from Wyoming. Dorsey said he buys dairy from Dakin Dairy Farms in Myakka through Weyand Food Distributors. Weyand said it doesn’t distribute Dakin. Dorsey said he gets local produce from Suncoast Food Alliance and Local Roots. Both said they have not sold to The Mill. He named three seafood suppliers. Two checked out, but a third, Whitney and Son, said they had not sold to The Mill yet. They hope to in the future. “Local Florida proteins are not quality,” Dorsey explained. But what about the mileage claims? If you eat food, you are being lied to every day. Everywhere you look, you see the claims: “sustainable,” “naturally raised,” “organic,” “non-GMO,” “fair trade,” “responsibly grown.” Restaurants have reached new levels of hyperbole. What makes buying food different from other forms of commerce is this: It’s a trust-based system. How do you know the Dover sole on your plate is Dover sole? Only that the restaurateur said so. And how can you be sure the strawberries your toddler is gobbling are free of pesticides? Only because the vendor at the farmers market said so. Your purchases are unverifiable unless you drive to that farm or track back through a restaurant’s distributors and ask for invoices. For several months, I sifted through menus from every restaurant I’ve reviewed since the farm-to-table trend started. Of 239 restaurants still in business, 54 were making claims about the provenance of their ingredients. For fish claims that seemed suspicious, I kept zip-top baggies in my purse and tucked away samples. 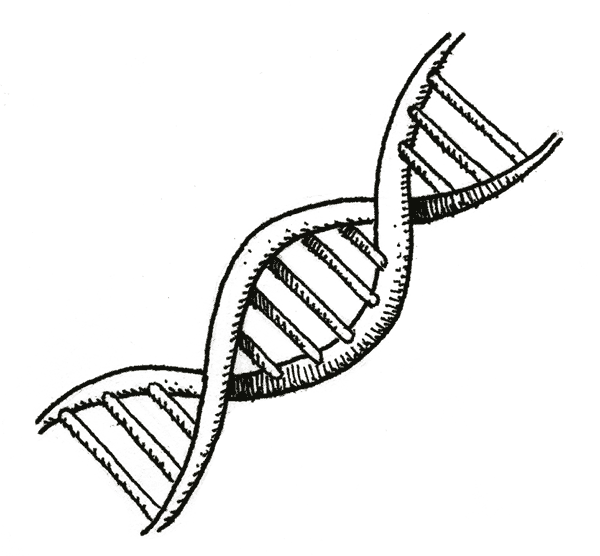 The Times had them DNA tested by scientists at the University of South Florida. I called producers and vendors. I visited farms. I have been a restaurant critic since 1991 and have always known there are fraudulent menu claims. This “housemade dessert” is Sysco’s Fudgy Wudgy chocolate layer cake I’ve eaten a dozen times. That “fresh snapper” has done serious freezer time. I know about the St. Petersburg restaurant that refilled Evian bottles with tap, the fancy Tampa restaurant where the “house wine” is a dump of open bottles on their last legs. 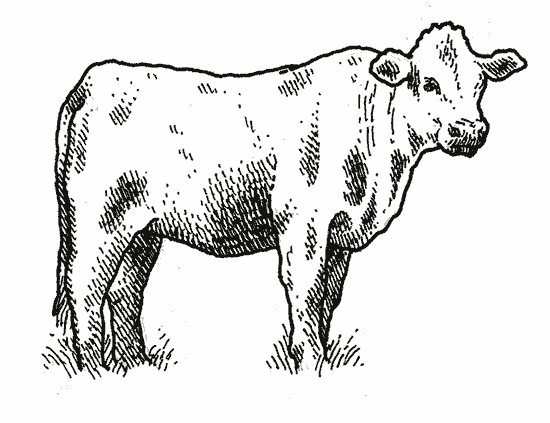 It was around 2012 that Tampa Bay menus sprouted the sentence “we source locally” near the admonition about consuming raw or undercooked meats. Fiction started to seem like the daily special. Most restaurants buy food from one of a small handful of distributors who source products in bulk at the best price from around the world. The national biggies are Sysco and US Foods. Smaller Florida-based companies include Cheney Brothers and Weyand. Then there are specialty distributors such as Master Purveyors in Tampa or Culinary Classics in Orlando. Most restaurants do not have the time or wherewithal to deal directly with farmers and producers; most farmers and producers don’t have the infrastructure to do their own sales, marketing and delivery. Mermaid Tavern has been a Seminole Heights draw for craft beer since it opened in 2011. In 2015, Gary Moran, chef-owner of the defunct restaurant Wimauma, took over in the kitchen at the restaurant owned by Becky Flanders and Lux DeVoid, tweaking an edgy, independent-minded menu. The menu reads: This menu is free of hormones, antibiotics, chemical additives, genetic modification, and virtually from scratch. We fry in organic coconut oil and source local distributors, farmers, brewers and family wineries … Our fish is fresh from Florida or sustainable/wild fisheries. During Tampa Bay Beer Week, I stopped in to eat. Only it’s not. Those cheese curds arrive in a box. 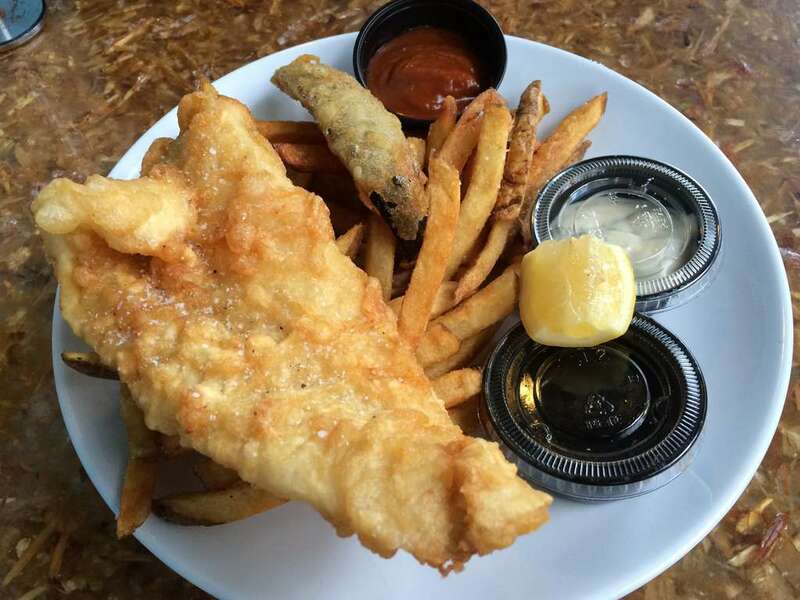 The fish and chips, which the menu says uses wild Alaskan pollock, are made from frozen Chinese pollock treated with sodium tripolyphosphate, a common preservative. And although the menu says its shrimp are Florida wild caught, they are actually farm-raised in India, Preference Brand from Gulf Coast Seafood. And that F**k Monsanto Salad? Moran said he buys his produce at wholesaler Sanwa on Hillsborough Avenue. According to Sanwa produce buyer Beatrice Reyes, while produce is labeled by country of origin, it would not be labeled as “local” or “non-GMO.” Unless you’re buying from Sanwa’s small organic section, there’s no way to assure you’re getting non-GMO. Even some certified organic foods have been found to contain GMOs. Could some of the ingredients in the salad be grown from Monsanto seed? “It’s really hard to find non-GMO produce,” Moran said. Moran followed up via email, claiming to also shop at farmers markets and providing a list of ingredients he believes to be non-GMO. Government oversight regarding the word “local” is nearly non-existent. In many cases, farmers police things themselves. 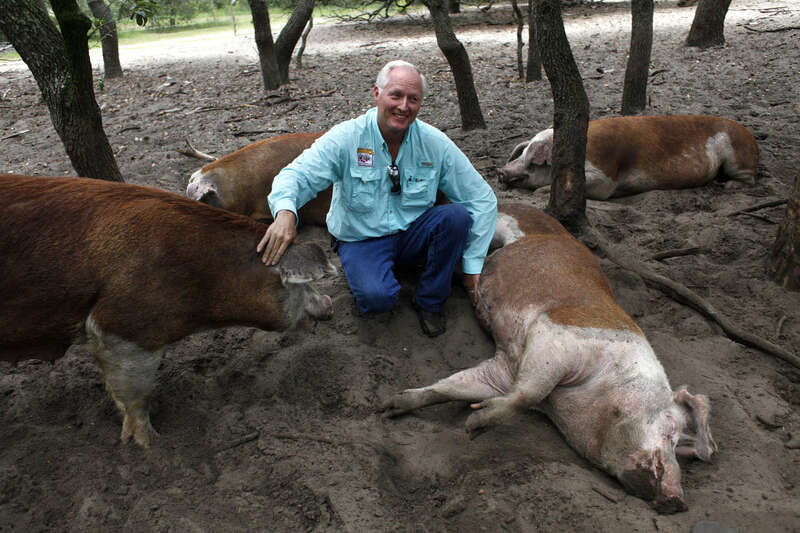 Jim Wood pasture-raises Hereford pigs at his Palmetto Creek Farms in Avon Park. He’s so frustrated with restaurants lying about using his pork that his invoices now say, “You cannot use my name unless you reference the line item sold.” That includes chalkboards. “Chefs make a lot more money by using my name and selling someone else’s product,” he said. “There are some chefs who respect us and respect our brand, and others who use it for monetary gain without compensating us. He was referring to Florida’s two-term Commissioner of Agriculture and likely candidate for governor. Putnam oversees Fresh from Florida, a state-run food marketing program with an annual budget just under $10 million. The program was created to give small producers an avenue to be part of a brand. Recently, the program has sponsored advertising on an Xfinity Series race car. 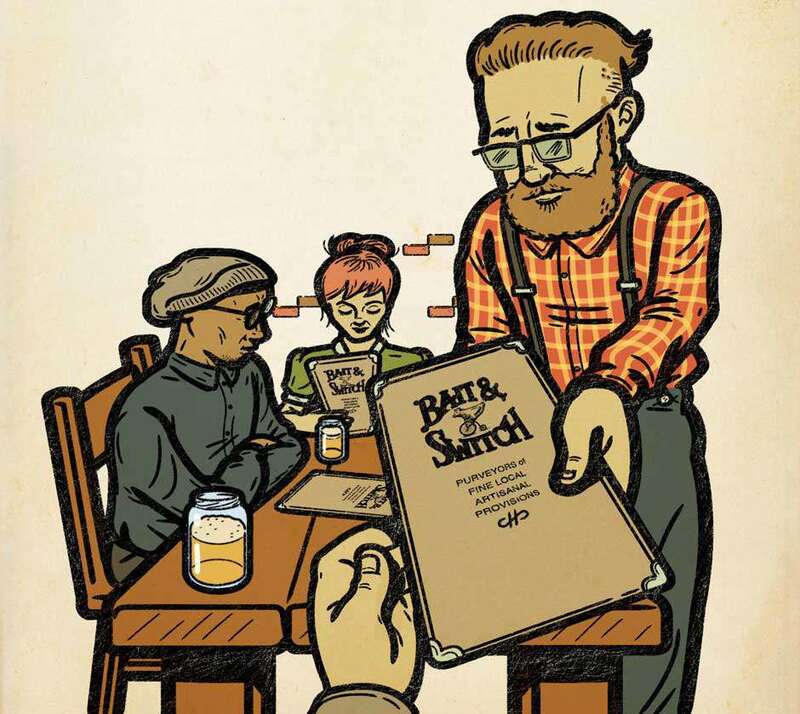 In 2013, an On the Menu program was added for restaurants. Restaurants fill out a two-part application and, once accepted, are able to use the Fresh from Florida logo to identify ingredients grown or produced in the state. Here’s how it goes awry. Restaurants supply vendor information up front about their sources for Florida-grown products, said Putnam’s press secretary, Aaron Keller. But otherwise, the program is an honor system. No restaurant has ever been demoted or removed. And while the Fresh from Florida logo is supposed to apply to specific ingredients, restaurateurs may slap it on menus, giving the impression that it represents everything. Putnam declined several requests for interviews. Keller said the program was never intended to be regulatory and that its aim was to encourage reputable restaurants to source Florida products. I called Joel Salatin, arguably the country’s most famous farmer, whom you might recognize from the documentary Food, Inc. or from Michael Pollan’s book The Omnivore’s Dilemma. 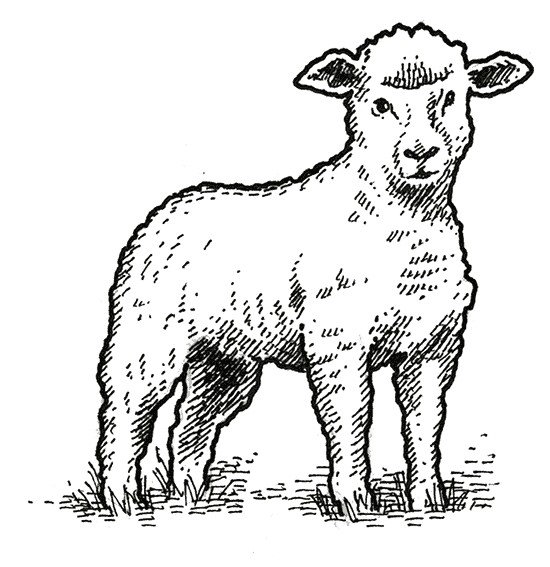 He opined while waiting for a load of manure at his Polyface farm in Virginia. 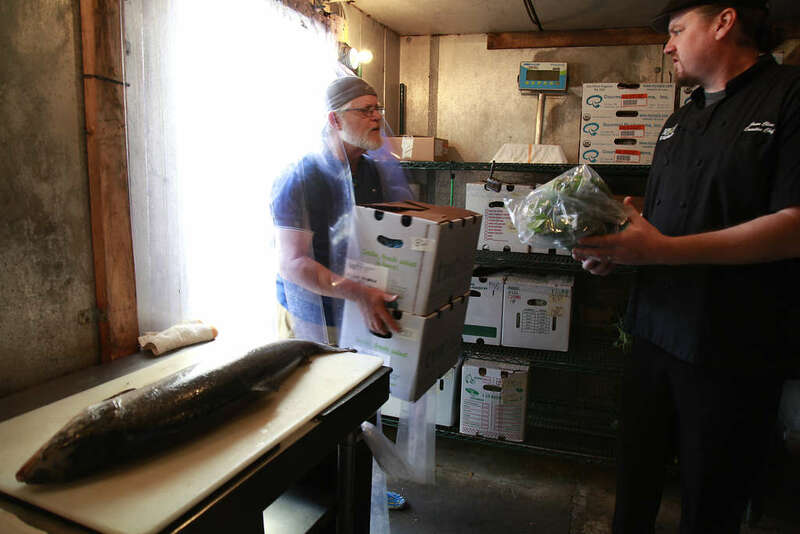 “We’re on the front edge of a “local-food tsunami,” he said. And nearly no one is keeping watch. For 40,000-some Florida restaurants, 191 inspectors from the state’s Department of Business and Professional Regulation oversee them all for safety, sanitation and — occasionally — lies. By comparison, Georgia, with about half the population, has 300 inspectors. Ohio has 637 for about 22,000 restaurants. In the past two years, Florida inspectors found roughly 750 food misrepresentation violations. Of them, 123 restaurants were fined, with an average fine for first-time offenders between $150 and $300. Count among the violators Koto Japanese Steak House and Royal Palace Thai in Tampa’s trendy SoHo District, and That’s Amore on Harbour Island. Places like Tarpon Springs’ now-closed Zante Cafe Neo were repeat offenders for misrepresenting fish. Old-timers like Gulfport’s La Cote Basque were dinged for advertising veal schnitzel dishes but having no veal in sight. “No packages commercially labeled veal (and) no veal invoices are present (but a) large volume of frozen pork chops and sliced pork” were observed. Wholesale veal can cost three times as much as pork. For pork-eschewing Muslims and Jews: Surprise. None of these was fined. Of the 95 misrepresentations in Hillsborough and Pinellas counties over the past two years, none had to do with farm-to-table myths. None were because conventional produce was substituted for advertised organic, or because commodity beef was swapped for “grass-fed,” or because “local” greens were really month-old Mexican spring mix. On average, restaurants are inspected twice a year, more if a restaurant has chronic infractions. An inspector can’t know any of those things just by peering into a walk-in refrigerator. 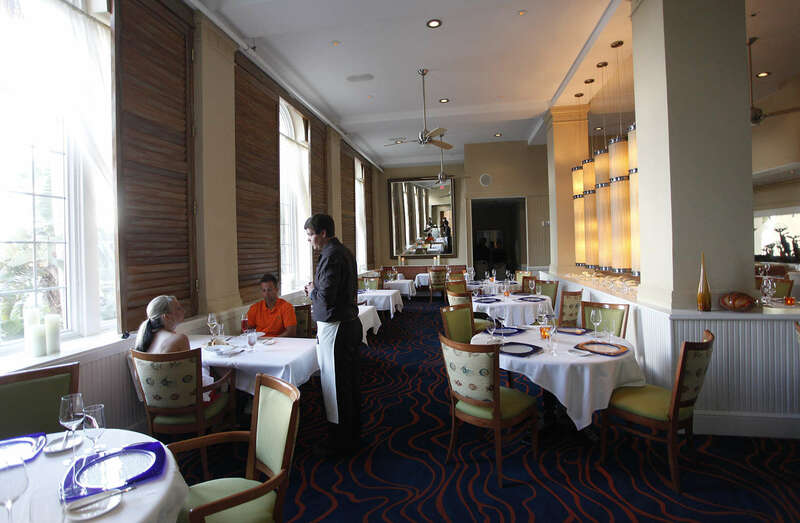 Maritana Grille at the Don CeSar gets the highest Zagat ratings of any restaurant along Pinellas County’s beaches. It’s the top restaurant at the pink palace built at the height of the Jazz Age. Entrees can run $28 to $48, and a three-course tasting menu with wine pairings is $95. 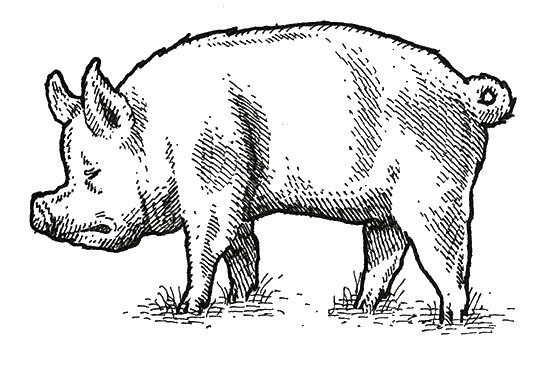 In February, Maritana listed Jim Wood’s Palmetto Creek pork on the menu. Wood said that he had not sold to the Don CeSar since the departure of previous chef Gavin Pera. 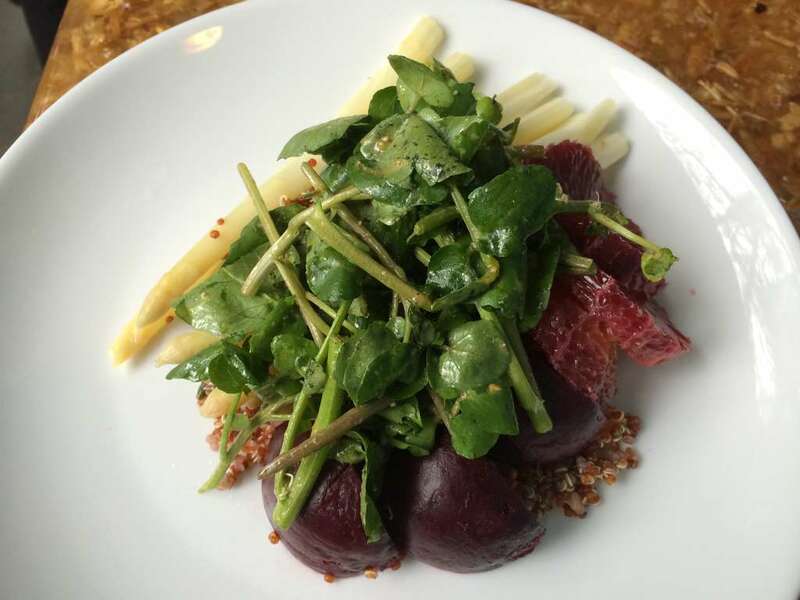 Chef Jose Cuarta took over about seven months ago and inherited a menu with a section titled Small Farms. The menu listed Hammock Hollow squash with heirloom tomato and olives. Hammock Hollow, a certified organic farm in Island Grove, Fla., has sold lettuces and tomatoes to fancy hotels such as the Willard in Washington, D.C., for more than 30 years. Hammock Hollow owner Charlie Andrews hasn’t had squash for months, he said, and is definitely not selling it to Maritana Grille. Asked about the provenance of the unspecified “small farms” venison, Cuarta said he buys it from Jackman Ranch in Clewiston. Jackman’s Mark Hoegh said that, while he does sell the Don CeSar wagyu filet mignon, he does not sell them venison, because he does not produce venison. And the section’s “Long Island duck”? It’s actually from Joe Jurgielewicz & Son, a duck farm in Pennsylvania. This matters. Long Island is an area long noted for producing some of the finest Pekin ducks in the world. With its location at Renaissance Tampa International Plaza Hotel and menu of high-end Italian, Pelagia has been a hangout for Tampa Bay Buccaneers and Rays players and a regular go-to for business travelers. Hosting events such as a Florida strawberry tasting menu, chef Brett Gardiner has been an active participant in Fresh from Florida promotions. In March, Pelagia’s menu listed Three Suns Ranch wild boar ragout. Three Suns owner Keith Mann, who has masterminded a plan to take in trapped nuisance hogs in Punta Gorda and have them USDA slaughtered for meat, said no. This has happened to him with several restaurants. Gardiner said he was surprised Three Suns was named on the menu and that it was a mistake, a holdover from the past, when he’d purchased the pork through a distributor. The menu touted “local” burrata mozzarella on the caprese salad. Gardiner said it was a product from Fort Lauderdale called Fioretta. The menu also listed Zellwood corn polenta, Zellwood being Florida’s most famous sweet corn, grown about 15 miles north of Orlando. 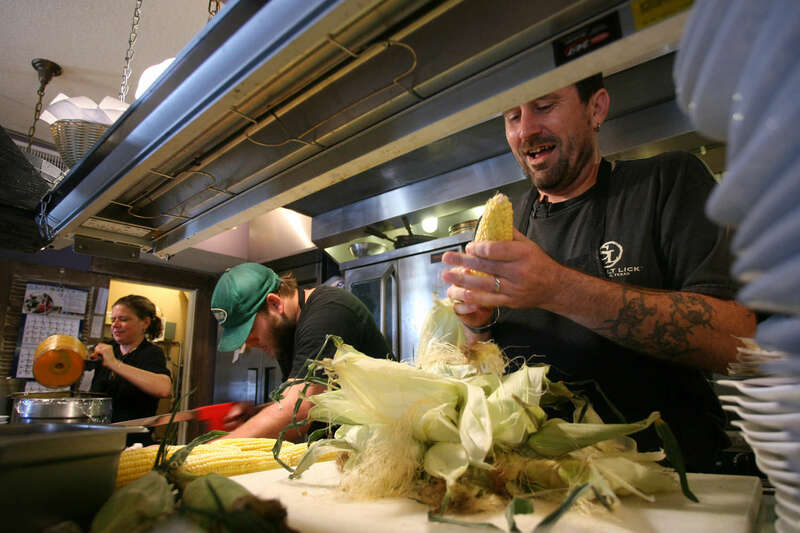 “We buy fresh corn from them and cook it down,” said Pelagia sous chef Tim Ducharme. 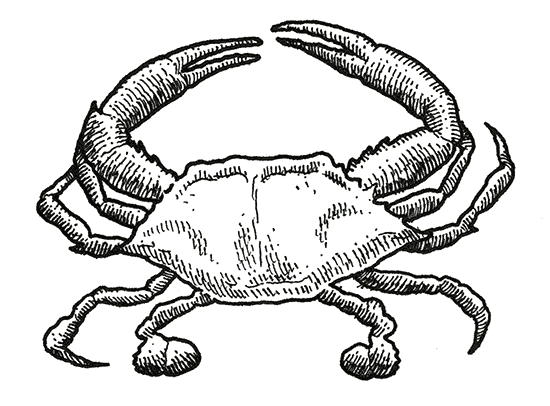 The Times had the crab DNA tested by Bob Ulrich in USF’s College of Marine Science, the identification performed by PureMolecular. A half-hour later, he emailed us a revised menu. Growing locally and sustainably with water conservation and zero-carbon footprint is nice if you can do it. It’s also expensive, said Robert Tornello of 3 Boys Farm, a hydroponic outfit in Ruskin. Especially when you add strict food safety documentation, greenhouse infrastructure and trained labor costs of $12 to $16 per hour. It’s less than half that in places like Mexico. “When a driver at $15 an hour has to do a three-hour round trip, plus fuel and overhead, to deliver three $30 cases of greens at 15 percent gross profit, you realize that the system is broken,” he said. Her cost to raise a pig to slaughter weight is $240 to $300, plus $50 to slaughter it and $50 to transport it. So, let’s say her total cost is $400. That whole pig, minus entrails and hair, will weigh 192 pounds. If she sells it at $3 per pound, that’s a sale price of $576. Ten thousand dollars a year is not a living, she said, but “nobody wants to pay $6 per pound for pork.” Most restaurants can’t, or won’t, pay her what she needs to live. And another thing. While it’s fun to nosh house-cured ham biscuits and sip small-batch bourbon in a dining room festooned with antique wheat scythes, for the people who actually grow the food, this isn’t reality. Farms tend to be where farm-to-table restaurants aren’t, said Craig Rogers, shepherd-in-chief of Border Springs Farm in Virginia. “The average farmer hasn’t been to a restaurant any fancier than Applebee’s,” he said. Inside Edition correspondent Lisa Guerrero wore a fitted black blazer and stilettos when she busted with her camera crew into Get Hooked, a casual seafood restaurant in Hudson that on occasion hosts micro-championship little people wrestling. 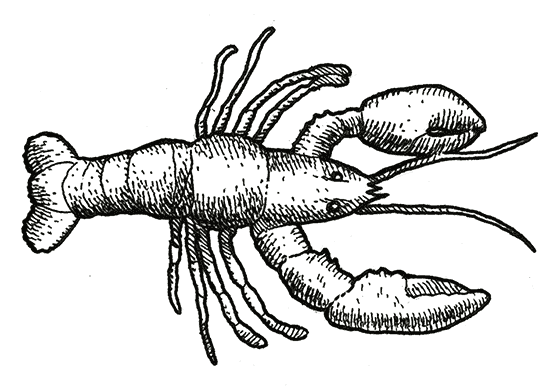 Taking co-owner John Hill by surprise, she confronted him about his “Delicious Lobster Sensation,” part of a Feb. 8 segment about the frequent fraudulence of lobster dishes. 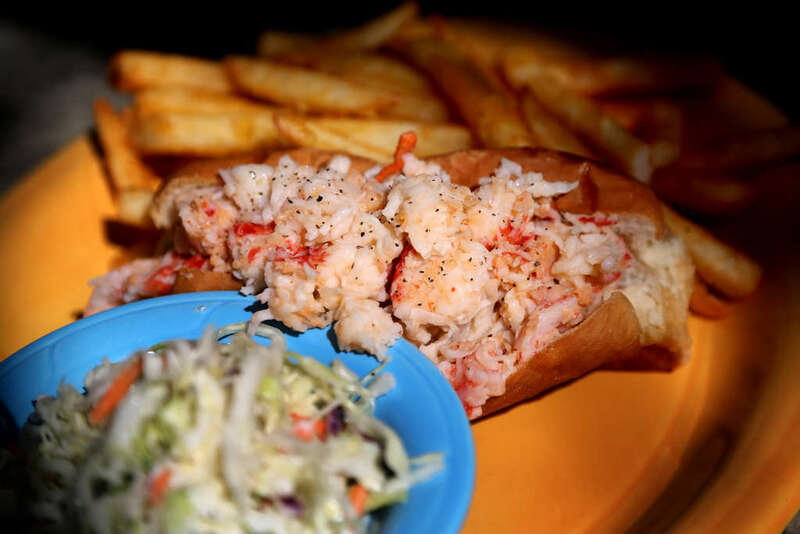 Although the restaurant has its own fishing boats, and Hill likes to say, “Our refrigerator is the Gulf of Mexico,” its lobster roll-like sandwich is made with a commercial product that contains cheaper fish such as whiting and pollock. After the show aired, I followed up to see how the revelation had affected the restaurant. They also offer a real Maine lobster roll on their specials board, she said, 6 ounces for what she calls a more realistic $24.95. King & Prince’s Lobster Sensations product has a 12-month freezer life, a 60-day shelf life unopened and a 10-day shelf life opened. In addition to flavor enhancers disodium inosinate and disodium guanylate, the Sensation contains surimi, a fish paste that is flavored, frozen, extruded, dyed, rolled into ribbons and cut into chunks. Surimi is one of the fastest-growing seafood products in North America. It is also, according to the Florida Department of Business and Professional Regulation, among the most frequent culprits in the state’s food misrepresentation complaints. In 2006, the Tampa Bay Times exposed the frequent substitution of other fish species for grouper. Since then, dozens of news outlets have exposed spurious fish claims, yet the misrepresentations continue. 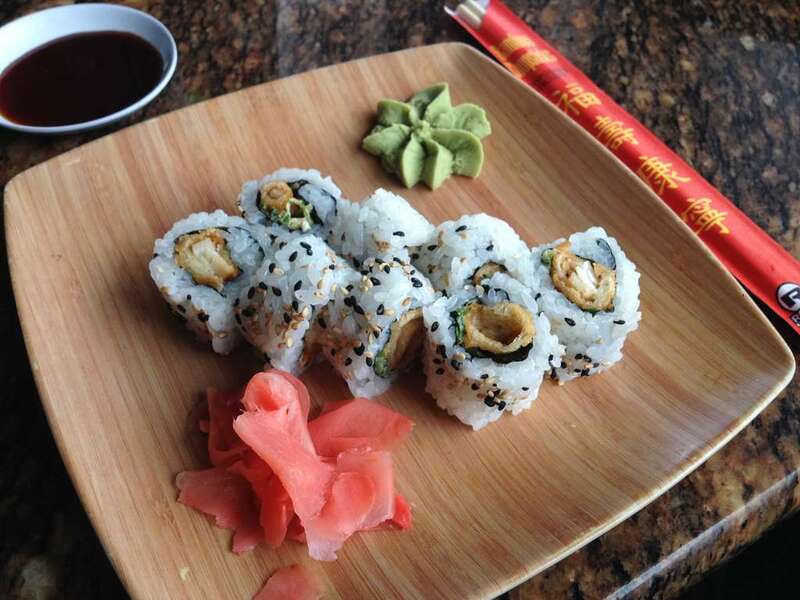 In February, I had the grouper sushi roll at Jackson’s Bistro on Harbour Island tested by Ulrich at USF. It was tilapia. Naturally raised and grass-fed beef are equally fraught with fraud, according to John Bormann, program sales manager for JBS, a leading processor of beef, pork and lamb. On an average week, 530,000 head of cattle are processed in the United States, he said. 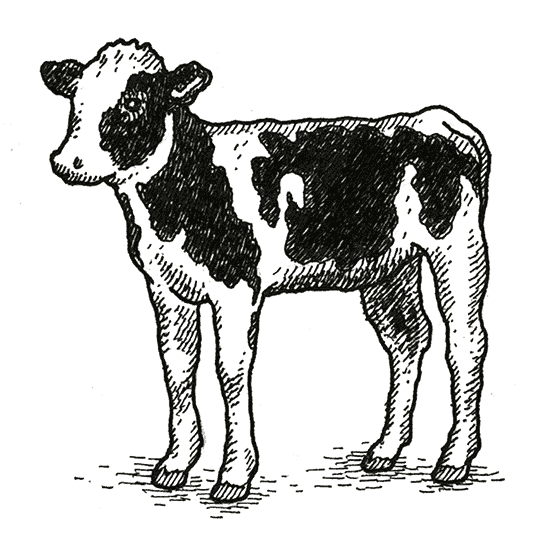 Fewer than 12,000 of them are naturally raised and antibiotic free. “Folks think they need a story on almost everything on their menu,” he said. 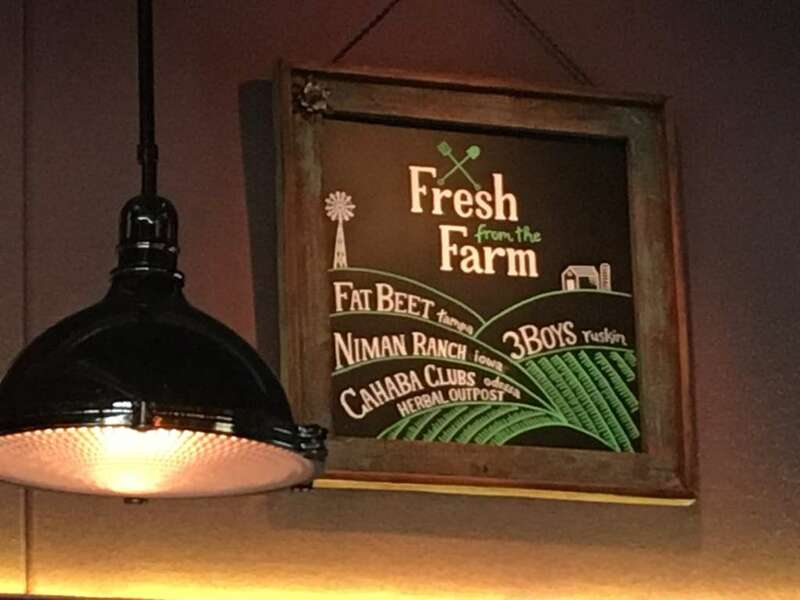 Noble Crust in St. Petersburg lists Fat Beet and 3 Boys farms on its chalkboard. Tim Curci of Fat Beet said, “It’s a plan, not a farm,” which will eventually grow things for Noble Crust on 9 acres near Race Track Road in Tampa. But right now? Fat Beet supplies a tiny fraction of the restaurant’s herbs. And 3 Boys’ Tornello said he hasn’t sold to Noble Crust since the end of last year. Not so bad when compared to Marchand’s at the Vinoy Renaissance St. Petersburg, which listed 3 Boys for a year past their last purchase, until Tornello said he wrote a letter asking them to remove it, which they did. Vinoy chef Mark Heimann confirmed this. The menu at St. Petersburg’s Stillwaters Tavern touts: locally produced dairy, vegetables, grains, seafood and shellfish … we work with local artisans, farmers and foragers to serve the best of each season. And then there’s this guy. Antonino Casamento started with eight Mediterranean water buffalo a few years ago, he said, his herd growing to more than 30. 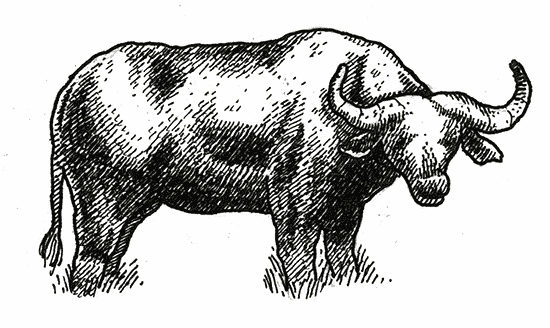 Not to be confused with American bison, these curvy-horned creatures are milked from Rome to Salerno, their milk turned into mozzarella and other prized Italian cheeses that often command double the price of cow’s milk cheeses. Richer and more flavorful, buffalo milk is also lower in cholesterol and higher in protein and calcium. 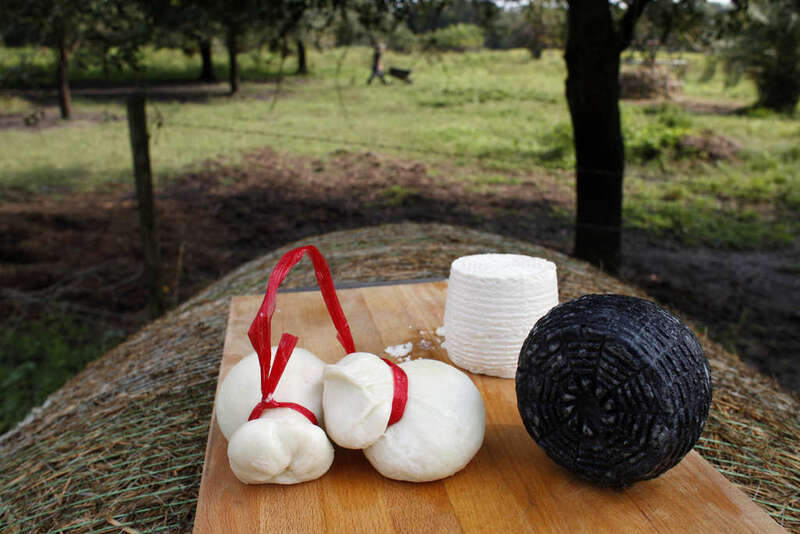 These days, Casamento is selling between 10 and 15 varieties of what he said are his own buffalo milk cheeses out of the tiny Mozzarella Bar he runs as a restaurant in Tampa. State officials said it is not permitted to sell wine, which it does. While you eat your cheese at up to $26 per pound, he will show you his “bible,” a photo album of his water buffalo. It appears his bible is a fairy tale. While he once sold his cheeses at St. Petersburg’s Saturday Morning Market and other outdoor stands, questions arose that he was substituting cow’s milk from Dakin Dairy in Myakka. Jerry Dakin confirmed he was selling milk to Casamento, but said Casamento hasn’t bought any in the past year. In January 2015, Casamento was accused of animal cruelty over a calf in Plant City found tied to a post too tightly, with an eye injury and a rope embedded in the muscle tissue of its neck. In February 2015 he signed a settlement with the Hillsborough County Sheriff’s Office relinquishing ownership of the calf and agreeing to have Brandon veterinarian Mark Mayo inspect his herd. “He really did love on 'em,” Mayo said of his visit. “They were a little down on weight. I wouldn’t say it was a severe animal cruelty case. People have good intentions and sometimes things don’t go well. According to EcoFarm’s Jon Butts, Casamento sold his water buffalo about a year ago, many for their meat. Butts took two males and a female at his Plant City farm, but said Casamento has not been buying their milk. Casamento said he sold some buffalo, but keeps other animals with a farmer named “Satia” in Myakka. He couldn’t tell me how many buffalo Satia has, nor Satia’s last name, address or phone number. Repeated calls went unanswered until I received this text: Dear Laura, we’re flattered that you’d like to write about us, as for your inquiry as to our supplier list, we highly respect our supplier’s privacy; our focus has shifted to MB our Italian bistro, and as a restaurateur in a highly competitive market wish to keep them as part of our coveted Italian family recipes. I told him we couldn’t find anyone in Myakka who knew about a herd of water buffalo and asked if he was declining to reveal their whereabouts. His answer: You’re welcome. One day I’d be happy to chat with you in front of a cup of coffee … or wine, if you’d like. There are restaurateurs selling precisely what they say they are. But the list makes for strange bedfellows. 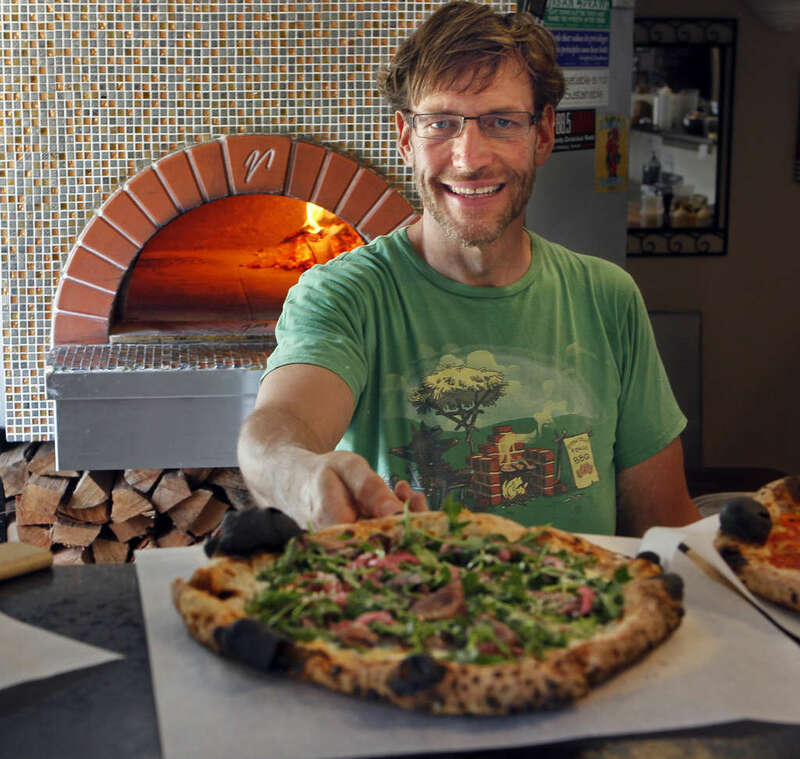 Greg Seymour owns Pizzeria Gregario in Safety Harbor. He buys whole pigs from EcoFarm and makes his own bacon, tasso and fennel sausage. He makes his own mozzarella and yogurt from local milk and sources produce only from local farms that have organic certification or use organic practices. It’s all listed on a crowded chalkboard. The farmers say he’s the real deal. This is a guy who hasn’t eaten asparagus for years because it doesn’t grow here. But that has got to be expensive. A 12-inch pie with housemade fennel sausage and pickled banana peppers: $17. Ferrell Alvarez and Ty Rodriguez at Rooster & the Till in Seminole Heights, although thoroughly sick of the term “farm to table,” source locally for much of their food. Urban Oasis Hydroponic Farm in Tampa grows specifically for Rooster, but has been misrepresented by other restaurants. The first tipoff on a menu? Constancy. Some restaurants have their own farms. Bern’s Steak House’s menu ends with a section about its organic farm: Depending on the seasons and the weather, we try to serve what we grow on our farm daily to our customers. In 2012, the Times reported that Bern’s Steak House was overreaching on organic claims, getting most produce from conventional suppliers. On a visit to the relocated farm in February (Bern Laxer’s original farm is now soccer fields and a Wawa), there was significantly more produce growing. Bern’s declined to comment for this story. There are also restaurants that make no claims at all. Jeannie Pierola doesn’t shy away from lavish descriptions at her Edison: food+drink lab in Tampa. Red snapper a la plancha with avocado coconut grits, organic baby spinach, merguez marmalade, avocado coconut chutney and mango harissa puree. Research shows people will pay more when descriptions are longer. But Pierola, who did a James Beard House dinner in 2015 celebrating Florida’s indigenous foods, scarcely mentions provenance. “I assume my guests know I am always pursuing the best product,” she said. Cafe Ponte chef-owner Chris Ponte deals with more than 30 vendors for his 14-year-old Clearwater restaurant. He doesn’t list any small farms. It’s difficult, but you sort of can. There are people like Emily Rankin of Local Roots and John Matthews of Suncoast Food Alliance, a new breed of middlemen connecting chefs to farmers. Rankin helps deliver the food of about 60 producers a year to around 100 restaurants. But the average restaurant works with 300 ingredients. She said her supply can only cover a small portion of any menu. 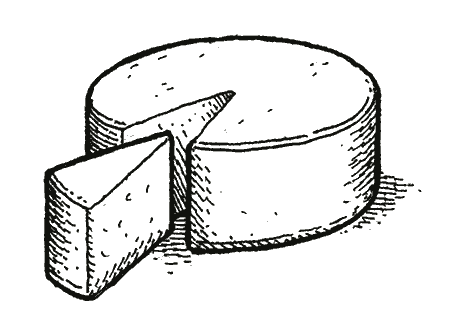 How much is enough, in good faith, to make farm-to-table claims? 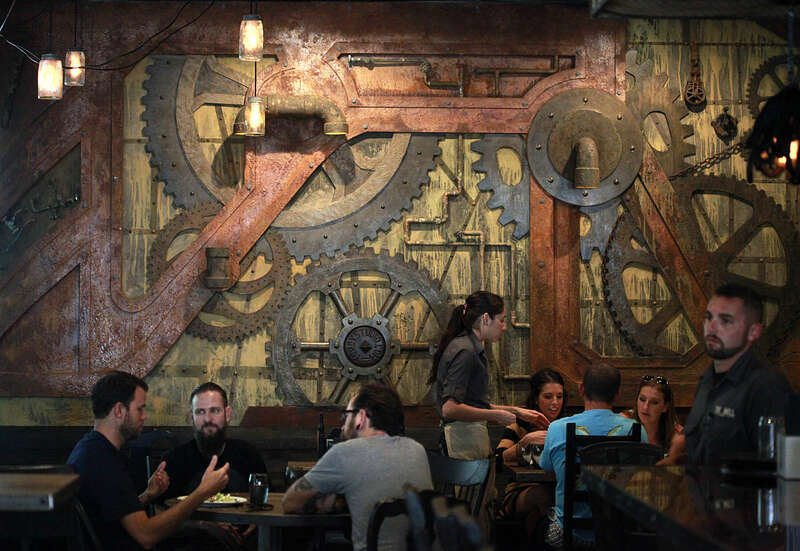 The owners of The Refinery are widely known champions of local. They choose their words carefully. The James Beard Foundation named The Refinery a semifinalist for Best New Restaurant in 2011 and named Greg Baker a semifinalist for Best Chef South for the past five years. Beyond Bern’s, it may be the Tampa Bay restaurant best known nationally. The Refinery’s website reads: If it wasn’t grown in Florida or produced using ethically sound methods, you probably won’t find it here. Not everything has gone as planned. “They have a solid business model for sourcing produce, but it’s shakier for protein,” said Mike Peters, who was purchasing manager when the Bakers’ second restaurant, Fodder & Shine, debuted at the end of 2014. A diligent re-creation of early Florida Cracker food, it came complete with hardtack and beef from Cracker cattle. Considering the fundamentals you have to have (carrots, onions, celery, potatoes, garlic, lemons), Greg Baker said, The Refinery uses 70 to 90 percent local produce, depending on the season. He uses all Florida fish and as much local meat as the market will bear. “There is a small percentage of people willing to pay for a Pasture Prime pork chop, (which) would be more than $40,” said Michelle Baker. We’re not helpless. Increasingly, there are ways for consumers to track where food comes from. There’s foodwaze.com, which verifies sustainable food businesses. There’s the chef who is also a Stetson University math professor developing a mathematical model to trace food. And there’s an ingenious fish tracing program from Katie Sosa at Sammy’s Seafood in St. Petersburg. Sammy’s records the boat, captain and catch date. Customers can look it all up tableside on their phones. While Sosa works with up to 200 restaurants, only a handful of folks like Steve Westphal of St. Petersburg’s Parkshore Grill and 400 Beach, and Benito D’Azzo, the chef at Tampa’s David A. Straz Jr. Center for the Performing Arts, use her tool. Why? Some customers might not like what they read: This fresh fish was caught more than a week ago? Complicated truths are the reality of the entire food industry. Since the first Boca debuted in 2012, the parent group rolled out another in Winter Park and a third in Riverview. Two more are set to open. 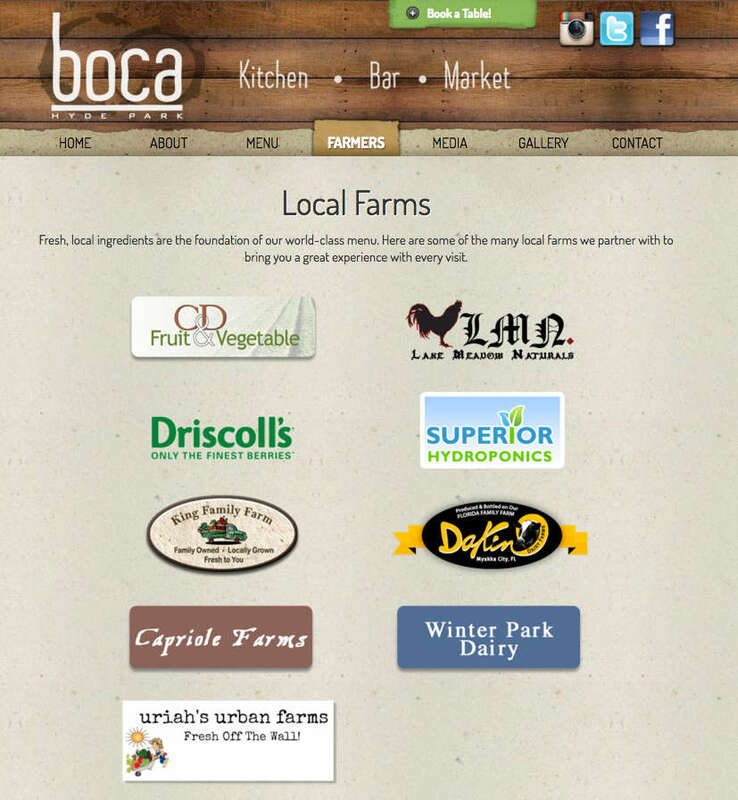 A screen grab from Boca Kitchen Bar Market's website shows farms the restaurant purports to work with. As of April 5, the website listed vendors King Family Farm and C&D Fruit & Vegetable Company, both in Bradenton. King Family has, for months, been listed as “permanently closed” on Facebook, its phone disconnected. Leanne O’Brien of C&D said they do not sell anything to Boca. The Riverview chalkboard recently listed Seminole Pride beef and Long & Scott Farms, neither of which are current vendors. While Boca’s Tampa chef, Sandy DeBenedietto, said they buy their Florida pink shrimp through distributor Halperns’ Steak & Gary’s Seafood in Orlando, the distributor has no record of pink shrimp purchases this year. 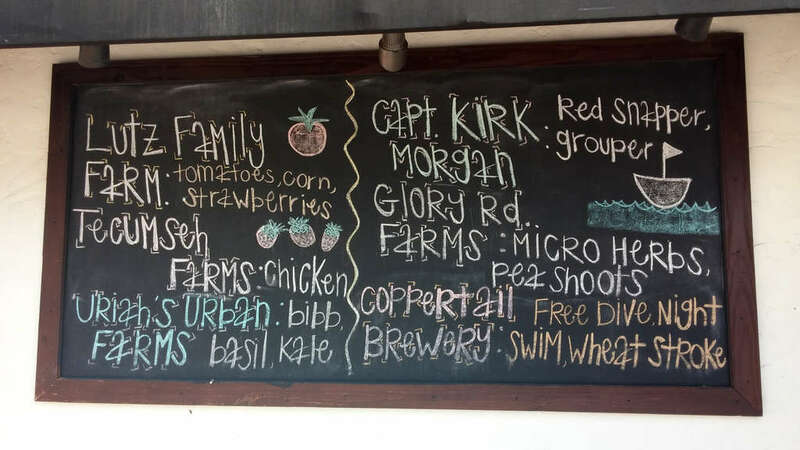 And on that Tampa chalkboard, Captain Kirk Morgan was said to supply red snapper and grouper. Morgan is not licensed to sell direct to restaurants, and said he has never sold Boca any fish. Furthermore, he doesn’t catch red snapper or grouper. He catches sheepshead, mullet and jacks. 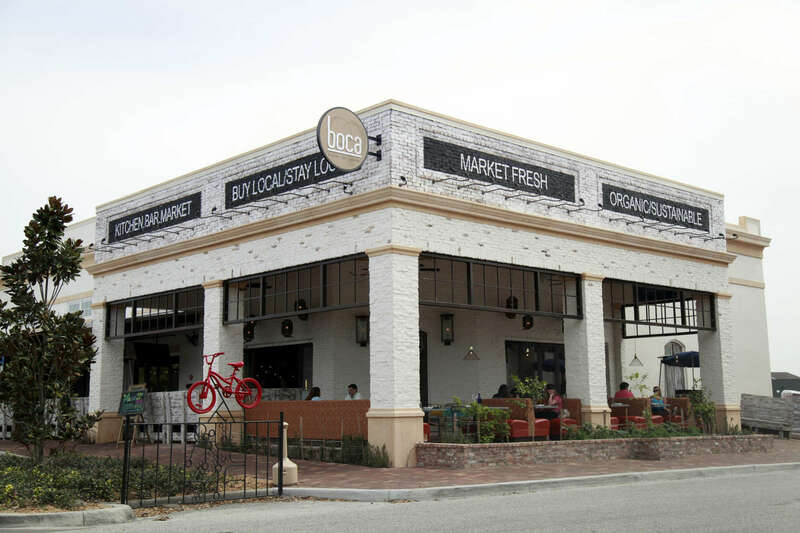 When confronted, Boca’s executive chef Matt Mangone first said he had met Morgan at I.C. Sharks market in St. Petersburg, and had purchased from him a couple times. Morgan had no knowledge of that. Why was his name on the chalkboard? Mangone uttered a familiar reply. This story was changed April 15 to reflect that the burrata mozzarella at Pelagia is from Fort Lauderdale, not Italy. Tampa Bay Times food critic Laura Reiley began to witness an uptick in food provenance claims several years ago. She reported this story over a period of two months, interviewing dozens of chefs, restaurateurs, farmers, state officials and food industry experts. She combed through hundreds of menus from Tampa Bay restaurants, identifying those that made specific claims, and then she investigated those claims. She visited farms, spoke with distributors and had foods genetically tested when deemed necessary. When she found discrepancies or misrepresentations at restaurants, she gave chefs and restaurateurs the opportunity to explain. As a result of these conversations, a number of the restaurants in the story amended their menus to more accurately reflect what they are selling: Pelagia, Jackson’s Bistro, Mermaid Tavern, The Canopy and Maritana Grille changed their printed menus and Boca Kitchen Bar Market and Noble Crust agreed to change their chalkboards. Laura Reiley has been the Tampa Bay Times’ food critic since 2007. She has received numerous state and national awards. She is a former critic for the San Francisco Chronicle and the Baltimore Sun and the author of four guidebooks in the Moon Handbook series. She has cooked professionally and is a graduate of the California Culinary Academy.